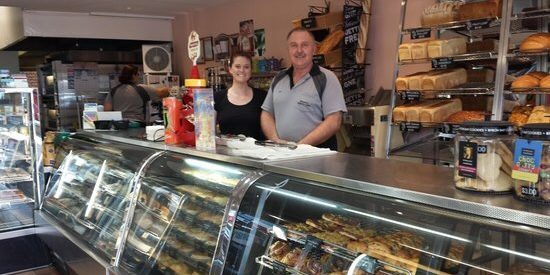 Brown’s Bakery Cafe has a great range of bakery products and cafe items with reasonable prices and a friendly smile. They also make gluten-free items which taste great. Sometimes you need to order them in advance as they sell out quickly. Recently I noticed that they were selling bagels but they go quickly so call them up and order some. Some of my favourite baked goods are the Vanilla Slices with passion passion fruit garnish. So good! There is plentiful seating provided and it is often full with locals and visitors alike. There is parking on Bloomfield Street and right in the centre of town.